As we welcome the New Year, we look on our favourite and best baby products from 2017, chosen by mums for new mums. The winning baby products are voted on by millions of mums around the world, and are definitely game-changing. You can get most of these baby products in Dubai from online stores, and some of them are available in baby products stores in the UAE. This easily foldable and affordable gym helps develop your toddler’s motor skills, and hand-eye coordination. It also come with a detachable toy puppy, which interacts with your little one and is loaded with early-learning content. You can get it in Dubai from Toys R Us stores. This is not your basic baby jumper. As it engages the baby’s whole body with 360 degrees of play. 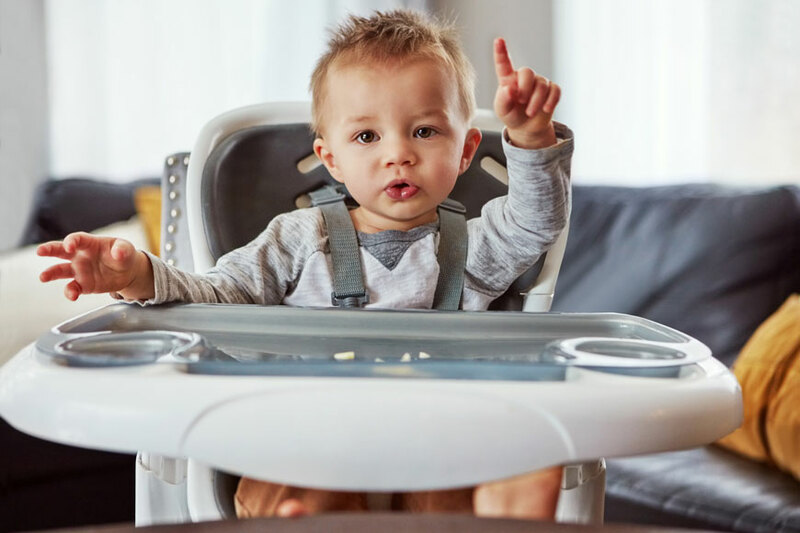 It can also be transformed from a jumper, to a cruiser, and finally to an activity table to keep up with your baby’s development. Get it in Dubai from Wadi.com. This carrier was the best in terms like versatility, style, and comfort. With al a baby feels super secure in each of the 4 carrying positions. Get it in Dubai from Sprii.ae. This seat is still winning even though it’s been around for a couple of years now. As it has all the features of a full size high chair, but in a compact design. Which makes it perfect and most convenient for apartments, or to keep as a backup at the in-laws. You may find it in Dubai from desertcart.com, or Babyshop stores. This is the best portable seat for use on the go. It’s very easy to clean as it has an ultra-light seat and removable tray. You can get it in Dubai online from Amazon.com, as they provide shipping to the United Arab Emirates on this item. This mat minimizes the mess significantly with its built-in plates, that’s why parents love it. On the other hand, kids love it because it’s super fun. You can get it in Dubai from either desertcart.com, or Amazon.com. This adorable suction-to-table set prevents any potential plate-flipping incidents, and is also super fun for the little ones. This set is ideal for beginner eaters. You can get it in Dubai from Amazon.com. This snack cup is spill-proof, and it keeps the snack fresh thanks to the airtight lid. Making it a win-win deal for both kids and their parents. It’s also very affordable. Get it in Dubai from Amazon.com. This Tub’s is designed to push the clean water in and the dirty water out. It also has a temperature monitor to ensure a safe environment for the baby. Get it in Dubai from desertcart.com. This bouncer isn’t only beautiful, but it’s also functional, as it can easily be folded up for storage. You can get it in Dubai from desertcart.com.